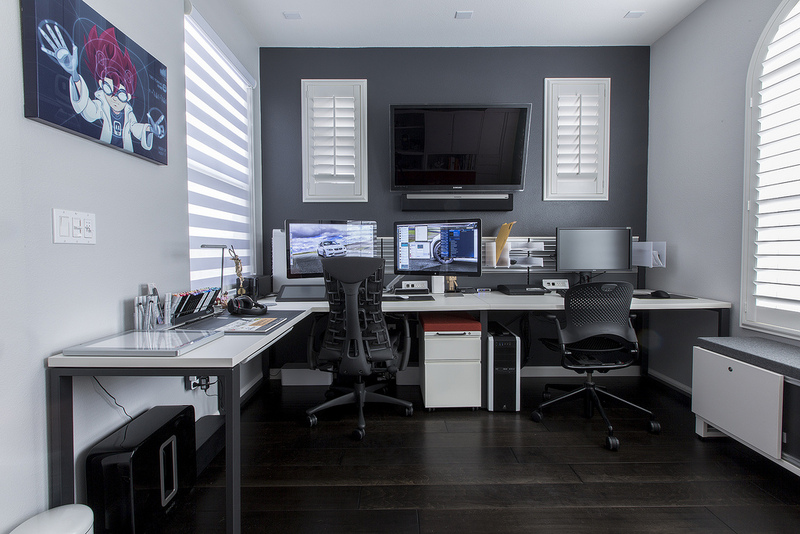 If your space serves as two rooms, for example an office/spare bedroom, change it so it’s solely dedicated to an office. Your office should be kept minimal to avoid distraction and having other large items in the room won’t help. Plus, you need to be able to make the space your own, especially if you work full time from home. If you have nowhere else to store your items, there are a number of self-storage locations across the UK. Make sure you’re organised mentally and physically by having enough storage space within the office. It’s easy to allow books or paperwork to pile up on the side but it’s better to keep them out of sight in a drawer or on a shelf. It’s amazing the amount of junk that can build up over the space of a month. If you’re not throwing things away on a regular basis, the chances are that you’re holding on to more stuff than you really need. It’s important to declutter your office on a weekly basis to keep on top of things and on a yearly basis really consider what you need and what you don’t. According to House to Home, Brits have up to £1,000 worth of clutter stashed away in their homes. File important items if you need too, bin any old magazines and shred any paperwork that you’ve dealt with. A clutter-free office makes for a clean mind. If you have a lot of files that you need to access on a regular basis, to help save you time and frustration, you should label everything. It might take you time to start with but you’ll thank your lucky stars when you’re frantically looking for an invoice from last October! If your boss were to see your desk at the end of the day, would you want them to see it? If the answer’s no, take five minutes at the end of your working day to clean up and straighten everything up ready for the following day. Put everything back where it came from, make sure any glasses or mugs are taken downstairs and even dust your keyboard once in a while! Returning to a messy desk the next morning isn’t good for the mind and you’ll only start the day in the wrong way.